Whether you are trying to support a major body cleanse or you just want to boost your energy, detox drinks can enrich a healthy lifestyle and support your mind and body! Are you looking for answers, like how often to drink these cleansing drinks or whether to consume them before or during meals? Or are you searching for a handful of delicious and effective body detox drink recipes rather than an overwhelming list of 50? You’re in luck: I’ve put together a comprehensive guide to the best, tastiest, and most effective drinks around. There’s nothing supernatural about a detox drink – it is just a drink with ingredients that have detoxification properties. It can be juice, tea, a smoothie, or even water made with herbs, fruits, vegetables, vitamins, and minerals that help remove toxins from the body. For best results, they should be made with all organic ingredients and should have no added sugar. The good news is that most are quick and simple to make and they can improve your overall health and wellness. Different ingredients work better for detoxing your liver, kidneys, digestive system, and whole body, and I will reveal which homemade drinks work best for different organ systems. I will also recommend some homemade do-it-yourself (DIY) drinks for cleansing toxic metals from your body and for weight loss. Drinks made for detoxifying your body can have a positive impact on your health, depending on how you use them. But, keep in mind they are not a magic bullet. 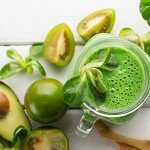 Whether you drink a tangy green juice every morning or try a diet for a specific period to cleanse your body of toxins, detox drinks are just one tool to support your health journey. You can drink them along with other foods, or you can do a juice or water only fast. Whether smoothies, green juices, teas or the ever-popular master cleanse lemonade drink, there are a variety of popular ones that you may have heard of. Learn more below. Many different teas can help you detoxify, including turmeric, lemongrass, marshmallow root, and milk thistle. Avoid herbal laxative teas like senna and cascara, which are harsh and may not be safe for the digestive system. Two ingredients I recommend for detoxification are dandelion root and green tea leaves. You can make your own tea by buying bulk supplies from a natural health food store, or buy one that is already sold in teabags. Dandelion root has been used for centuries in Traditional Chinese medicine and ancient Indian medicine (Ayurveda) to support liver and gallbladder health. Modern science has shown dandelion roots help relieve liver stress in laboratory animals. [2, 3] It also promotes the production of bile and stomach acid, so it should be avoided by people with gallstones or ulcers. You can buy dandelion tea online or at a nearby natural health store. You can buy several varieties of premade detox tea that contains dandelion root, but some natural health food stores sell dandelion root and dandelion leaf in bulk so you can make tea. Combine it with marshmallow root plus chamomile flower for a sweet flavor. Green tea is known for its antioxidant properties. Antioxidants work to counter any damage to cells caused by toxins and pathogens, so drinking a tea or juice with high antioxidant properties helps your body detoxify. Studies have found that green tea lowers bad (LDL) cholesterol and blood pressure as well. [5, 6] Matcha green tea powder has 100 times more antioxidants than plain green tea: While green tea is an infusion from the tea leaves, matcha powder is a drink made from ground up young green tea leaves, resulting in more detoxifying antioxidants in your drink. Matcha has been found to have positive effects on the kidney and liver. Lemons have many powerful properties that assist the body in detoxing. Lemons help with cleansing the liver, kidneys, and colon,[9, 10,11]. One of the most popular detox diets, the Master Cleanse, is lemonade made with cayenne pepper, organic lemons, and pure maple syrup. You can make the lemonade in single glasses, or in a large pitcher– but add the cayenne in each glass, or it will make the drink bitter. Use two tablespoons of organic lemon juice, two tablespoons organic grade B maple syrup (not the fake stuff), ⅛ teaspoon cayenne pepper, and 10 ounces of distilled water. This is a juice-only cleanse; drink only this lemonade for ten days. Afterward, you transition off by drinking fresh-squeezed organic orange juice for one day, followed by two days on a homemade vegan soup. For the full effect, most Master Cleanse participants flush the body with sea salt water, which must be consumed on an empty stomach, first thing in the morning. Add two teaspoons of sea salt (not iodized table salt) to 1 quart of warm water. After about 30-45 minutes, be near a bathroom. Green juice is all the rage among health enthusiasts. This healthy drink can start your day off with a shot of antioxidants and nutrients – power for a positive day! I drink a delicious green juice almost every morning. I change it up based on what I have in the refrigerator, but a favorite involves apples, lemon, parsley, celery, kale, cucumbers, fresh ginger, and romaine lettuce. Drink it down in a couple of minutes for a super-boost of energy. I’ll give the recipe below. 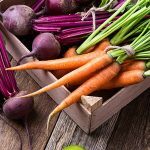 Juicing concentrates the fresh, raw nutrients in the fruits and vegetables, giving you a quick shot of nutrition – far more than you could consume in the same period. Apples provide an all-natural sweetener, especially if you are not yet accustomed to the piquant taste of a pure all-vegetable green juice. Lemon juice also balances out flavors and provides excellent benefits for digestion, weight loss, and detoxifying the kidneys. Making homemade juice is most convenient with a store-bought juicer. Although juicers can be a bit expensive, they are an excellent investment for your health. Some people wonder why they should waste all the pulp that comes from the fruits and vegetables when you juice. If you do not want to throw away all the veggie and fruit pulp, you may opt for smoothies instead. Smoothies have the added advantage of retaining the fiber packed into most veggies and fruits. However, you can do both! I like to save the pulp left from juicing, pack it into ice cube trays, and add these frozen vegetable pulp ice cubes to my smoothie recipes. If you are making smoothies for detoxing, do not add sugar. Instead use fruits to sweeten your smoothie, like bananas or berries. What’s the Best Detox Drink? If you want to cut to the chase and find out the best drink, read on. In a nutshell, water is the best way to detox, but there are a few ways to add flavor and cleansing properties to your water. Truly, the best drink for detoxing is always water! Because tap water can be contaminated, using a proper water purification system is essential for your health. I recommend distilled water because the process by which it is made removes all contaminants; it is pure H20. Distillation involves bringing water to a boil – which converts it to steam – and then sending the steam through cooling tubes where it condenses back into pure water. This process also removes all of the naturally occurring minerals, so you might need to supplement to get them back. To keep all your body’s organ systems working at top notch, I recommend that you drink at least eight glasses per day – especially if you are trying to detox. If you want to take it to the next level, try water fasting. I recently completed a 18-day water fast and created a series of videos, one per day, documenting my experience with it. I also drank hydrogen-infused water to ensure the greatest benefit during my fast; you can read more at my hydrogen water article. Studies show that water fasting slows aging and improves cell recycling and promotes the body’s natural healing properties. [12, 13,14] It can also give you a flat belly, and help you kickstart a lifestyle of healthier eating. My favorite drink – I drink this all the time – is distilled water with just a touch of raw, organic and unpasteurized apple cider vinegar (ACV), and a dash of Himalayan pink salt. The vinegar adds a slightly tart and tangy taste to the water. Apple cider vinegar has incredible detoxification properties. ACV is full of probiotics, it has a powerful ability to resist all kinds of harmful organisms, and it helps normalize blood sugar levels. Distilled water with ACV – with or without added lemon juice – creates the perfect alkaline drink. Detox water is just water infused with one or more fruits or vegetables, like watermelon, cucumber or lemon. If you infuse your water with the right ingredients, you can detox while you hydrate. Always use distilled water or if you have to use tap water, purify it with a filter that removes toxins. My favorite is watermelon citrus water. Watermelon has nutrients that make it ideal for detoxing your liver. These drinks can be consumed before a meal, or in place of a meal if you are intermittent fasting. There are many other delicious recipes. Can certain drinks help you lose weight? They absolutely can! Many people are on the lookout for slimming or weight loss detox drinks. However, it’s important to use detox drinks, and especially intermittent fasting or juice fasting as healthy habits rather than exclusively for weight loss, which could lead to an eating disorder. Fasting and drastically reducing calories – which can be done by substituting a drink for one or more meals– have scientifically valid benefits. 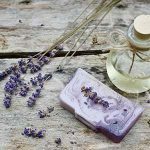 [12, 13,14] However, these new health habits should be practiced with care, and in some cases under the guidance of a natural health practitioner or doctor. Aloe vera juice has slimming properties. Aloe promotes the digestive system’s production of mucus, which has a gentle, mild laxative effect and also can improve gut health. You can buy aloe vera juice (note, this is different from aloe gel) at local stores and drink a four-ounce glass of it, or, if the taste is too strong, you can dilute it with water in a larger glass. Make sure your aloe juice does not contain more than five ppm (parts per million) aloin from the outer leaf, as this can irritate the gut. You can also buy aloe in capsule form, and some people like to release the contents into a glass of water rather than drinking aloe juice. There are several ways to do a whole body cleanse. If you want an overall body detox drink, I recommend green juice. You will need a juicer. It’s best to wash all items before juicing. Although organic farmers use less chemical pesticides, laws allow for some to be used, and so even organic fruits and vegetables may retain remnants of some chemicals. Add the following items to your juicer, and then store in a glass jar. I recommend drinking a four-day kidney cleanse that uses two drinks, a homemade kidney cleanse beverage and a lemon-ACV drink. Add the juice of one organic lemon. Drink this gallon over the next 4 days. If you need to work or run errands during the day, bring it with you in a small cooler or large water bottle. Take a second gallon of distilled water and pour out 6 ounces (¾ cup). Add 2 tablespoons of organic raw apple cider vinegar to the water. Add ½ cup of fresh squeezed organic lemon juice. Drink this for snacks, during meals, and between meals when thirsty. Drink as much as you like throughout the day. The more you drink, the more successful your kidney cleanse will be. When you finish this mix, make another gallon and continue to drink as needed. At the first symptom of stone pain, mix two ounces of organic olive oil with two ounces of organic lemon juice. Drink it straight and follow with a 12-ounce glass of purified water. Next, squeeze the juice of half a lemon into 12 ounces of purified water, add one tablespoon of organic raw apple cider vinegar and drink. Repeat the lemon juice, water and apple cider vinegar recipe every hour until symptoms improve. Many foods have liver cleansing properties, but beets, lemons, grapefruit, turmeric, peppermint and apple cider vinegar are powerhouses for this purpose. Peppermint is one of several herbs with strong liver cleansing properties. Not only does peppermint stimulate liver bile production, but it has also been found to protect the liver against toxic metals in lab experiments. Not only that, peppermint acts as a stress-relieving drink. Beets, carrots, and apples are three of several liver cleansing foods that can be juiced to create a delicious juice. My ACV-lemon water mentioned in the Best Detox Drink section is also great for the liver. Wash and peel all the items, and then add them to a juicer. If you prefer a thicker juice, you can blend it in a blender. Add ice if you prefer a cold drink. Turmeric has liver protecting effects, including against NSAIDs (non-steroidal anti-inflammatory drugs) and other toxins. It acts as an antioxidant and reduces the body’s production of cytokines, which cause systemic irritation. 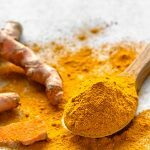 You can make a delicious liver health drink using turmeric. Golden milk is a drink made from milk (I recommend vegan milk like almond milk, rice milk, or coconut milk) and turmeric, with other spices added for flavor and additional health benefits. Whisk all ingredients together in a saucepan over medium heat. Simmer to combine the flavors, and then strain through cheesecloth (you can skip this step if desired). Drink warm as a golden milk latte, or refrigerated. If you want to improve your digestion, try a detox smoothie. Compared with juicing, where the pulp is discarded, creating a smoothie from provides your body with the natural fiber from the fruits and vegetables, as well as all their nutrients. Ginger has excellent digestive benefits, including reducing nausea and vomiting. It also helps other digestive issues, including gas, bloating, and constipation. Here’s a delicious and soothing drink that will ease digestive complaints and start your day off great. Bring all ingredients to a boil in a small saucepan. Keep a close watch on it, or the water will evaporate! You can double the recipe if you want to drink more the next day. Do not microwave the tea, as microwaves negatively affect food and the nutrients contained within them. If you want a cold drink for digestion, try this spicy but delicious detox water recipe. Toxic metals can accumulate in our bodies from the foods we eat, the air we breathe and the water we drink. Mercury, lead, cadmium and other metals are common in the environment, and even low levels have harmful effects on the body. 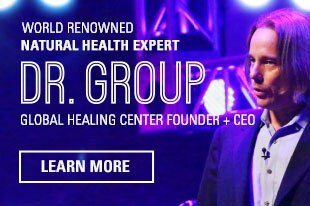 I love to drink Super Water regularly, and it works particularly well to help remove toxic metals. Calculate half your body weight; drink that amount in ounces of Super Water every day of the cleansing process. For example, if you weigh 150 pounds, you should drink 75 ounces of Super Water daily. Drink this water after you cleanse on a regular basis to maintain overall health. Prepare one gallon of purified water, preferably kept in a glass bottle. Pour out some so that you can add the ingredients below. You can add water back in to suit your taste. Add 2 tablespoons of raw, unpasteurized organic apple cider vinegar to the gallon of water. Shake well. If the taste is too strong for you to handle, reduce to 1 tablespoon per gallon until you become accustomed to the taste. Optional: Add the juice of ½ of an organic lemon and 1-2 ounces organic aloe vera juice per gallon of Super Water. These additions will improve your cleansing results. To really boost your toxic metal cleansing effort, try Zeotrex®. The formula is an integral component of the 30-day toxic metal cleanse. Add 20 drops of Zeotrex to 2 fluid ounces (¼ cup) of distilled water and drink this first thing in the morning, on an empty stomach. Repeat 20 minutes before your evening meal. Repeat this for 30 days, and drink the Super Water throughout the day. Are you wondering what you should expect when drinking detox drinks? I’ve gathered some of the most common questions and provided answers. Do I need to stay close to a toilet? No, for the most part, these drinks in and of themselves will not affect your digestion so strongly that you’ll need to rush off to the bathroom. The exception is aloe vera juice, which can have strong digestive-stimulating properties. With that drink, I recommend starting with a small amount and seeing how your body responds before drinking larger amounts. How often or over how many days should I drink the detox drinks? These drinks can be added to your healthy daily diet plan on a regular basis. If you are consuming most of these recipes, like golden milk or mint tea, have them as often as you like! Or you may want to try detoxing your body for a certain period by eliminating processed foods, meat, dairy and other foods. In that case, if you want to replace a meal with a drink, consume your drink of choice as a replacement for breakfast, or 30 minutes before lunch or dinner. If you are doing a full liver, colon or kidney cleanse, I recommend a five-day plan. When I make detox water, do I squeeze the fruit or vegetables into the water or just put them into the water to infuse? If you squeeze the fruits and veggies, it gives more flavor to your water and also infuses your water with more of the antioxidants, vitamins, and minerals from the produce. After squeezing the juice into the water, you can add them to the pitcher or jug, which will allow the flavors to deepen. What do I do with the leftover fruit once the water is consumed? Most people throw it away, but you can freeze it and later add to a smoothie! Should I drink these refrigerated or at room temperature? Your body needs more energy to metabolize cold water, so if you are cleansing, room temperature drinks will help your body process the water more efficiently. If making detox water, keep it at room temp in a pitcher for at least 24 hours, but if you do not drink all of it, you can refrigerate it for longer preservation. Will detox drinks make me lose weight? Not necessarily. Some ingredients do kick-start metabolism, but if you want to lose weight, you need a balanced diet with physical exercise as well. Try to eat a healthful, plant-based diet. Detoxing your body systems can help with weight loss, and healthy drinks are a great accompaniment to any type of cleanse. 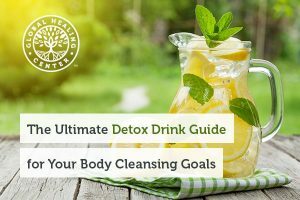 In summary, detox drinks are not only delicious and nutritious, but they can help your body cleanse you from all the toxins you are exposed to daily. Choosing ingredients that target the organs that you have trouble with can make a world of difference. How about you? Have you tried any detox drinks that you love? Share the recipe in the comments below! "Herbs and Botanicals: Dandelion (pu gong ying)." Acupuncture Today. Accessed 4 May 2018. Domitrović R, et al. "Antifibrotic activity of Taraxacum officinale root in carbon tetrachloride-induced liver damage in mice." J Ethnopharmacol. 2010;130(3),569-77. You Y, et al. 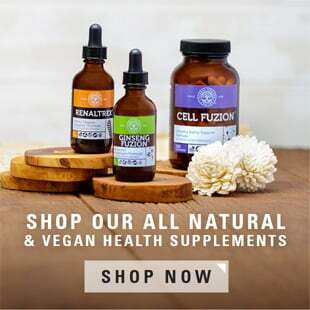 "In vitro and in vivo hepatoprotective effects of the aqueous extract from Taraxacum officinale (dandelion) root against alcohol-induced oxidative stress." Food Chem Toxicol. 2010;48(6),1632-7. Cabrera C1, Artacho R, Giménez R. "Beneficial effects of green tea--a review." J Am Coll Nutr. 2006;25(2),79-99. Liu G, et al. "Effects of tea intake on blood pressure: a meta-analysis of randomised controlled trials." Brit J Nutr. 2014; 112(7),1043-1054. Touhami M, et al. "Lemon juice has protective activity in a rat urolithiasis model." BMC Urol. 2007; 7,18. Tirkey N, et al. "Hesperidin, a citrus bioflavonoid, decreases the oxidative stress produced by carbon tetrachloride in rat liver and kidney." BMC Pharmacol. 2005;5,2. Minato K, et al. "Lemon flavonoid, eriocitrin, suppresses exercise-induced oxidative damage in rat liver." Life Sci. 2003;72(14),1609-16. Zheng, X-X. "Green tea intake lowers fasting serum total and LDL cholesterol in adults: a meta-analysis of 14 randomized controlled trials." Am J Clin Nutr. 2011; 94(2),601–610. Weiss DJ, Anderton CR. "Determination of catechins in matcha green tea by micellar electrokinetic chromatography." J Chromatogr A. 2003;1011(1-2),173-80. Yamabe N, et al. "Matcha, a powdered green tea, ameliorates the progression of renal and hepatic damage in type 2 diabetic OLETF rats." J Med Food. 2009;12(4),714-21. Longo, Valter D., and Mark P. Mattson. "Fasting: Molecular Mechanisms And Clinical Applications." Cell Metabolism 19.2 (2014): 181-192. Web. 4 May 2017. Gopal J, et al. "Authenticating apple cider vinegar's home remedy claims: antibacterial, antifungal, antiviral properties and cytotoxicity aspect." Nat Prod Res. 2017 Dec 11,1-5. Johnston CS, Gabs CA. "Vinegar: Medicinal Uses and Antiglycemic Effect." MedGenMed. 2006;8(2),61. Abdel Moneim AE, El-Khadragy MF. "The potential effects of pomegranate (Punica granatum) juice on carbon tetrachloride-induced nephrotoxicity in rats." J Physiol Biochem. 2013;69(3),359-70. Clifford T, et al. "The Potential Benefits of Red Beetroot Supplementation in Health and Disease." Nutrients. 2015 Apr; 7(4),2801–2822. Zong L, et al. "Preliminary experimental research on the mechanism of liver bile secretion stimulated by peppermint oil." J Dig Dis. 2011;12(4),295-301. Sharma A, et al. "Protective effect of Mentha piperita against arsenic-induced toxicity in liver of Swiss albino mice." Basic Clin Pharmacol Toxicol." 2007;100(4),249-57. Ghosh N, et al. "Recent advances in herbal medicine for treatment of liver diseases." Pharm Biol. 2011;49(9),970-88. Palatty PL, et al. "Ginger in the prevention of nausea and vomiting: a review." Crit Rev Food Sci Nutr. 2013;53(7),659-69. Haniadka R, et al. "A review of the gastroprotective effects of ginger (Zingiber officinale Roscoe)." Food Funct. 2013;4(6),845-55.